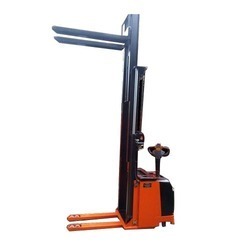 Prominent & Leading Manufacturer from Pune, we offer counterbalance battery stacker truck, walkie battery stacker, battery stacker straddle, counterbalance electric stacker, pallet tilting stacker and stacker adjustable fork. 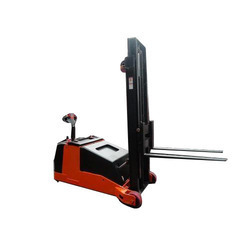 We are successfully ranked amongst the top manufacturer and supplier of splendid quality of Counterbalance Battery stacker truck. At our modern fabrication unit in total compliance with the set quality norms, the offered array of product is precisely developed making use of latest machines, equipment & tools. 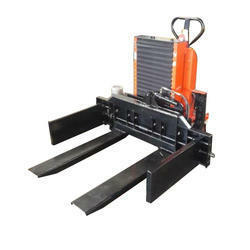 Our offered product is tremendously appreciated for their features given below. 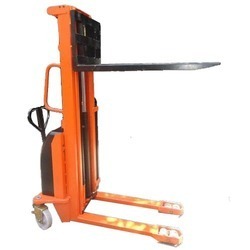 We are instrumental in offering a broad range of Walkie Battery Stacker for our precious clients. Our offered product is widely appreciated by our cherished customers for their unique features. The product offered by us is accurately manufactured by using splendid grade raw material & progressive technology in tandem to universally verified parameters. 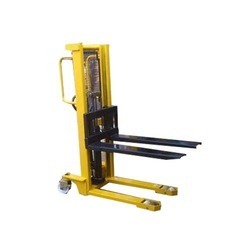 Customers can avail this product from us in assorted specifications & at market-leading rates. 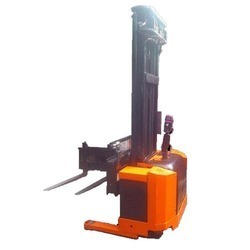 Powerful high-quality AC Vertical drive unit ensures high performance and low maintenance. The built-in pressure relief valve protects the trucks from overloads, increases the reliability. 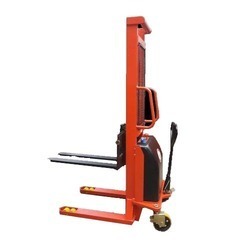 High Visibility Mast provides the operator with a clear view of the fork tips and a wider work area for increased load handling confidence and efficiency. 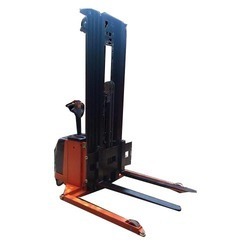 We have great expertise in manufacturing and supplying a wide array of Battery Stacker Straddle is manufactured making use of premium quality raw material & modern production techniques. This product is highly acclaimed in the market for their unique attributes, like robust construction, durable finish standards & low maintenance. 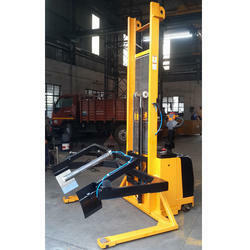 Further, we offer this product in various specifications as per the needs of the clients. 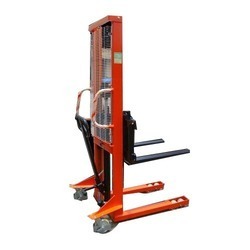 With enriched industry experience & knowledge, we are offering an excellent range of Counterbalance Electric Stacker. Perfectly designed with uttermost precision, the offered product is precisely manufactured utilizing splendid quality raw material & modern technology. Apart from this, our product undergoes assorted tests under the strict supervision of quality auditors, in order to make sure their perfection. 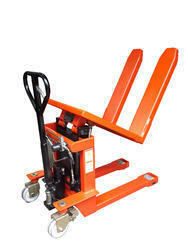 Braking, applied with handle upright and horizontal position, increases its safety degree. the necessity of bending or stretching up. A handle can be turned and locked in the position away from the work area. Apply to both sitting and standing positions. Forks can be tilted up to 90 degrees. 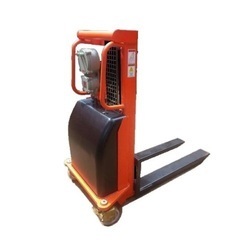 Both are supplied as standard with the parking brake and foot protectors. 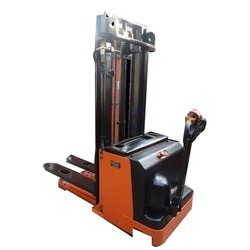 We are successfully ranked amongst the top manufacturer and supplier of splendid quality of Stationary Stacker . 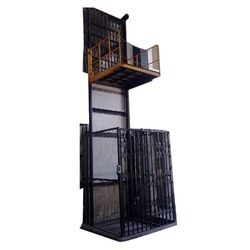 We are the leading supplier of Flame Proof Stacker made available to our clients at competitive prices.